A trip to Venice would not be complete, without a visit to a local vineyard for Prosecco tasting – the region’s most popular wine! Whether you are new to wine tasting or a connoisseur, our short guide will help you make the most of your Prosecco tasting! 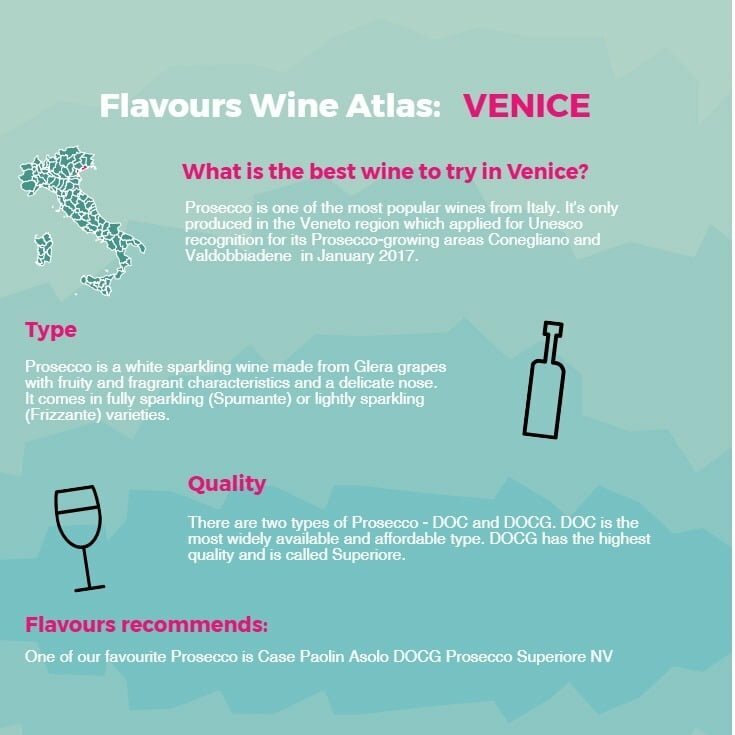 For more facts and information about Prosecco click here and if you want to experience the authentic stile di vita of Veneto why not join us on a cooking holiday in Venice in 2017?